December 2016—Social networks play a critical role in how family planning is received in Benin. According to research, partners are more receptive to the use of contraception if they have discussed the topic with their peers. Before Idaya* participated in USAID’s Tékponon Jikuagou project, her marital relationship was tense because she did not want to become pregnant. Discussing child spacing with her husband was stressful. So instead, she used a traditional method to prevent pregnancy in secret. “If my husband sleeps with me, the next day, I feel ill at ease. That’s why I prepare tea, which allows me to clean out my stomach … to avoid an unintended pregnancy,” she said. Idaya shared her story with Tékponon Jikuagou in 2012. 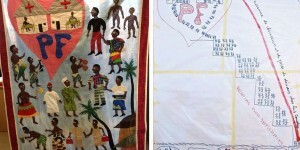 The project was designed to spark conversations about family planning use, encourage individuals to act on their reproductive intentions, and reduce unmet need for family planning among women and men alike. More than two years later, Idaya describes major life changes. She switched from using a traditional method to prevent pregnancy (such as periodic abstinence or withdrawal) to a modern one—birth control pills—and she is now more assertive with her husband. The USAID project followed 50 project participants, each with stories as rich as Idaya’s, over two years to understand how social networks impact family planning behavior. Idaya explained that engaging with her community gave her support to have tough conversations with her husband, and that she would talk with him about family planning after attending project discussion groups. 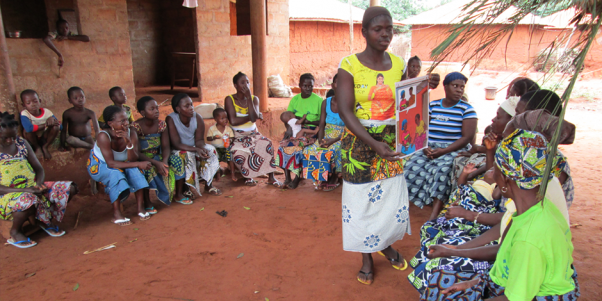 Later, she was able to convince her husband to support family planning use when she evoked her community. Metrics to measure family planning often center on individual use. 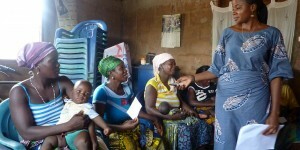 Yet results from Tékponon Jikuagou show that family planning use is intensely social. Participants like Idaya talk to their peers about family planning before discussing it with their partners, and before using it themselves. Research shows that women who break taboos and talk to someone in their network about family planning are more than five times as likely to talk to their partner about using a method as those who do not. Men who believe their network approves of family planning are 3.5 times more likely to visit the health center to obtain it. 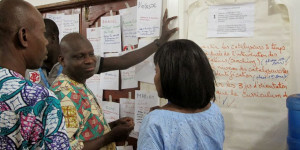 Dynamic and supportive social networks like Idaya’s exist throughout West Africa. These networks are powerful resources that can be used to encourage family planning discussion and reduce unmet need for family planning. USAID is continuing its research in this area.